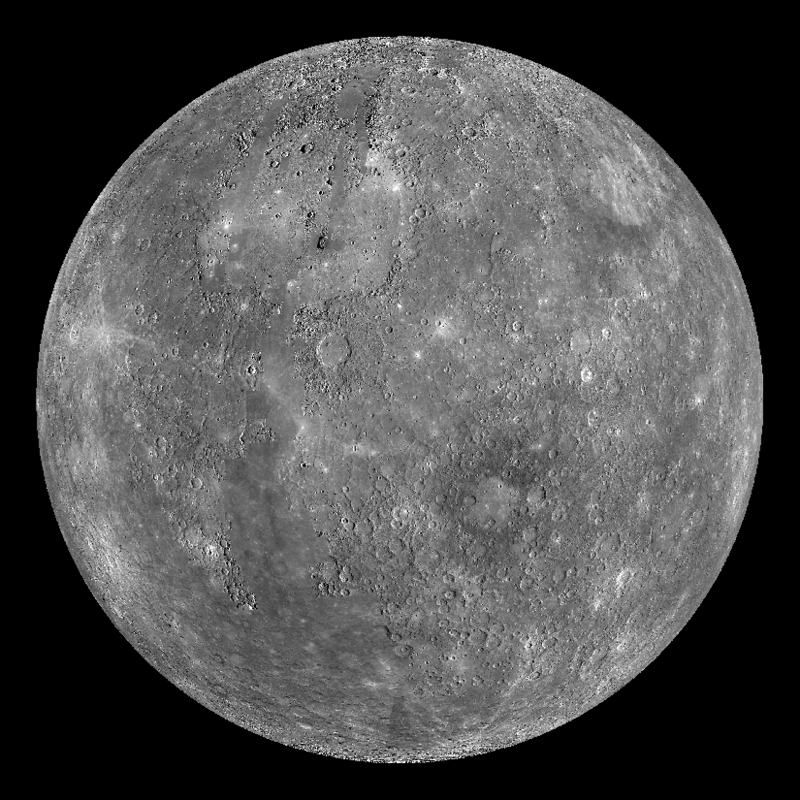 For every 2 orbits of Mercury around the sun, it rotates 3 times on its axis. This is known as a 3:2 spin-orbit resonance. Note: The elliptical eccentricity of Mercury’s orbit about the Sun, in the animation below, is exaggerated for emphasis. Looking at this animation, you should be able to observe Mercury’s three rotations (spins) for every two orbits – a fascinating 3:2 resonance or synchronicity. Mercury completes an orbit in 87.97 Earth days, and it completes a spin once every 58.65 Earth days. Although Mercury’s sidereal day (in relation to the stars) is just 59 Earth days long, a solar day on Mercury lasts 176 Earth days. In other words, if you could stand on the surface of Mercury, it would take 176 days for the Sun to return to the same spot in the sky. The combination of the planet’s very fast orbit and slow spin results in a very long Mercurian day – twice as long as its year! That’s only one Mercurian day for every two Mercurian years! Can you detect this by following the movement of the rotating arrow, as Mercury orbits the Sun, in the animation above? Because Mercury is so close to the Sun (orbiting between 28 and 43 million miles from the Sun) and does not have much of an atmosphere to trap heat, its very long days cause its temperature to vary greatly. Mercury’s temperatures can go between -279 Fahrenheit (-173 Celsius) at night to +801 Fahrenheit (+427 Celsius) during the day. That’s hot enough to melt lead!